As you’d no doubt like to field a Deathwatch Kill Team in your Space Wolves army, here are my tactics on how best to use Ortan Cassius, Jensus Natorian, Edryk Satorax, Antor Delassio, Garran Branatar, Jetek Suberei, Squad Donatus and the Kill Team Cassius Formation. 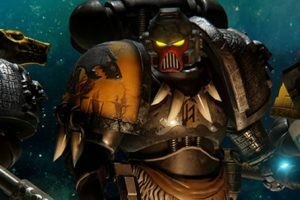 The Deathwatch Kill Team is a new Imperial faction in Warhammer 40,000, which means they are Battle Brothers with all Imperial Forces, but most importantly, other Space Marine armies. 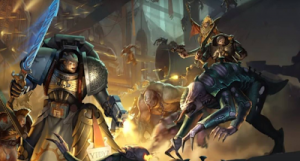 Intended to be taken as Allies, the Deathwatch Kill Team faction consists of 2 HQ choices, 3 Elite choices, 1 Fast Attack choice and 1 Troop choice, as well as 1 Formation which includes all of these units. While the Deathwatch draw its members from numerous Space Marine Chapters, this does not grant its members those Chapter Tactics. 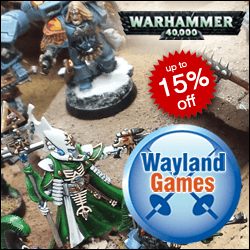 Although if you’re playing a friendly game and Drenn Redblade is within 6″ of a Wulfen pack, it seems perfectly reasonable that he should be affected by the Curse of the Wulfen. But always check with your opponent first. A Space Marine Chaplain with Special Ammunition for 5pts more than the equivalent from the Space Marine Codex. He is also an Indepedent Character. A Level 2 Space Marine Librarian restricted by Biomancy Powers, with Special Ammunition for 5pts more than the equivalent from the Space Marine Codex. A Space Marine Terminator Sergeant with a Heavy Flamer, Master Crafted Melta Gun, Master Crafted Power Fist, Fearless and the Flamecraft special rule. This gives him 4+ Feel No Pain against Flamer weapons. Meawhile, he re-rolls to Wound and re-rolls failed Armour Penetration rolls with his Heavy Flamer. But basically, we’re looking at a Terminator Sergeant with the equivalent of a twin-linked Heavy Flamer and a Melta Gun for 15pts more than the equivalent from the Space Marine Codex. By running him solo, you get a nice melta-cide or flamer-cide unit (aka: Deepstrike in, kill stuff and try not to die!). Especially when that Melta Gun is Master Crafted for a re-roll to hit! A Space Marine Biker Sergeant with a Power Sword, Special Issue Ammunition, Hit & Run, Split Fire, Born in the Saddle and a Teleport Homer for 19pts more than a regular Biker Sergeant. That’s not bad value for points you know! Especiallly when his Bike has a Twin-Linked Bolter. By running him solo, you get a nice harassment unit which can be used to accurately Deepstrike other units on to the table. Garran Branatar seems like an obvious unit to Deepstrike in. A Space Marine Sergeant with a Jump Pack, a pair of Lightning Claws, Stealth, Shrouded on Turn 1, he can use his Jump Pack in both the movement and the assault phase. He also has the Heroic Intervention rule, allowing him to re-roll 1 or both dice when charging, ignore penalties for disordered charges and always passes the Initiative test to make a Glorious Intervention. I’d definitely take him for hiding in terrain near an important area of the board, before leaping out and into close combat. The only risk is that he’ll get killed in close combat against a much larger squad. Thankfully, he’s a Character so he can issue Challenges. A Space Marine Sergeant with a Jump Pack, Hand Flamer, Chainsword and Furious Charge. He also has the Heroic Intervention rule, allowing him to re-roll 1 or both dice when charging, ignore penalties for disordered charges and always passes the Initiative test to make a Glorious Intervention. He’s not a patch on Edryk Satorax for the same points cost. I would not take him. Aside from being led by a dress wearing Dark Angel *hock, spit*, Squad Donatus is an awesome little unit thanks to their Special Ammunition and the formidable Frag Cannon. Not forgetting the Combi-Melta, a Plasma Pistol and Power Sword as well. 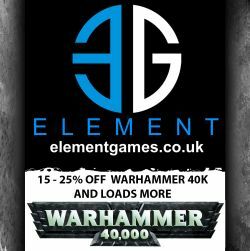 To see if they offer good value for points, I worked out that each Deathwatch Marine is 18pts, +5 for Special Ammunition, +15 for a Plasma Pistol, +15 for a Power Sword, +10 for a Combi-Melta and +20 for a Frag Cannon. That comes to 175pts. Let’s not get bogged down in the detail of each individual Space Marine. Let’s focus on what the unit does together as a whole, which is to shoot things with Special Ammunition and the Frag Cannon, then hit things in close combat. A Special Ammunition for every occassion! But like all Space Marines, they need to be Rapid Firing to be of the most value. And as all of them have Space Marine Sergeant stats, they get a decent number of basic attacks too. I just wish one of them could have had a Power Fist. I would put them in an allied Drop Pod (from my Space Wolves army) and use them like an alternative Grey Hunters/Wolf Guard pack. The whole Kill Team, in one big squad that cannot split apart. The Independent Characters become part of the squad too and lose their Independent Character status. In return they can all re-roll to wound or armour penetration rolls of a 1. The big issue is that Edryk Satorax can’t be sneaky, Antor Delassio is a waste of 35pts, Garran Branatar can’t Deepstrike and Jetek Suberei can’t zoom around with his teleport homer. They also cannot ride in an Allied transport due to the size of the squad (and a bike). Personally, if I were to run the whole Kill Team (minus Antor Delassio), it would not be in this formation. The Deathwatch have some very interesting options, but competitive players will only want to take a handful of them as an Allied detachment. Jensus Natorian, Garran Branatar, Jetek Suberei and Squad Donatus are clearly the best units here and offer the best value for their points. Jetek Suberei requires some micro management and may not be that essential. And that’s not bad at all!